We have no release today. Instead, here is a quick follow up to previous developer release, which prompted quite a few questions. Where is synced data stored? 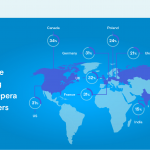 All synced data is stored on Opera-controlled servers. At this stage we are only syncing bookmarks. In the future, it is likely that we will sync further information. As many of you have already noticed, we have a flag to synchronize open tabs (currently disabled by default). Are my synced bookmarks encrypted? Everything is encrypted in transit between client and server. However, non-login data is not stored encrypted on the servers. If we later decide to sync sensitive private data, such as passwords, we will encrypt that as well. How do synced bookmarks relate to bookmarks saved via Opera Link? Any data you have synchronized in Opera 12 is still available on the Opera Link web interface. Additionally, bookmarks from Opera 12 installations can be imported locally via our bookmark import tool. Can the accounts button be hidden? The accounts button allows you to access our new syncing feature. There’s more in store for syncing data in Opera, so stay tuned for future releases. How does this new feature relate to the previous syncing experiment? 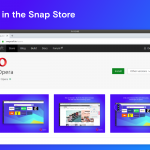 The previous experiment (introduced in Opera Developer 19.0.1324.0) has been discontinued and replaced with this new implementation.